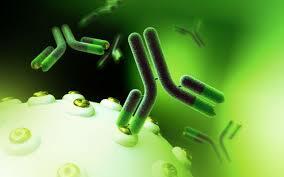 Polyclonal antibody is produced by immunization program in various hosts i.e. goat, rabbit, mouse etc. With the advancement of hydridoma technology, custom monoclonal antibody can be produced with a shorter time. Custom antibody production service is available for your novel protein or small molecules sample.